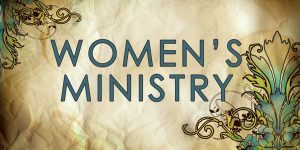 Women’s Ministry offers a variety of programs and activities including Bible studies, fellowship, mission and service projects. An elected Board of 7 maintains a budget and offers various programs throughout the year. The Board meets the first Wednesday of each month at 9:30 a.m.
Women’s Ministry also offers the opportunity for fellowship and Bible study, both during the day and in the evening. Periodic luncheons, brunches and monthly nights out provide additional fellowship opportunities. The women of the church also volunteer their services providing fellowship refreshments and kitchen cleanup. They contribute gathered items and financial support annually to the Thornwell Children’s Home in South Carolina and the Duval Home (for challenged adults) in north Florida. An annual harvest time bake and yard sale helps to raise funds to support the projects of the women of the church. If you would like more information on how you can become part of this joyous women’s ministry, please contact us.